Eid is a biggest religious event for Muslims. Muslims celebrate this event after fasting the whole month of Ramadan. On this special day, they greet each other and celebrate with happiness. As this is really a special day so you have to greet on some special day. Just saying “Eid Mubarak” is just an old-fashioned way. 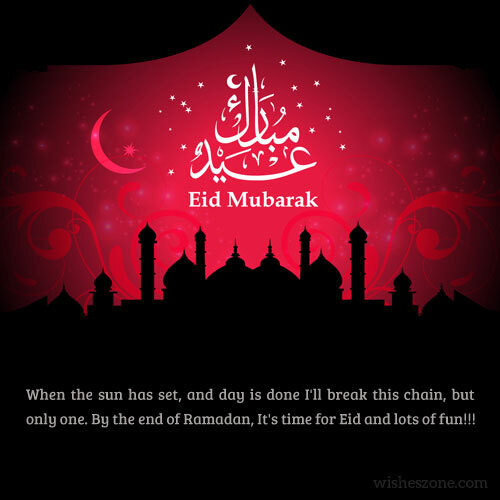 Now you have to choose some best Eid Mubarak Wishes and Greetings to make this day more special for everyone. 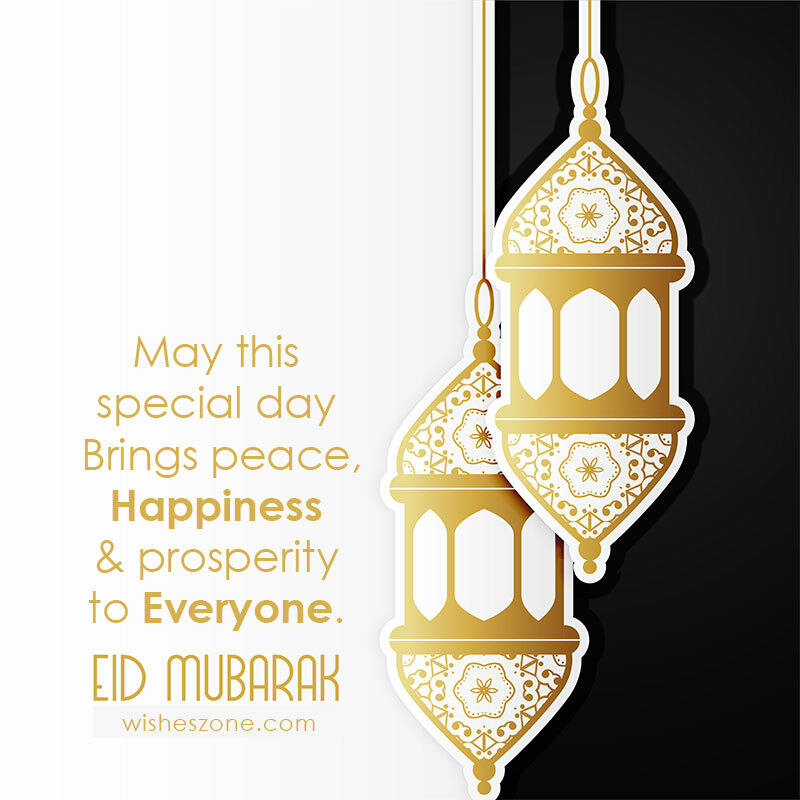 But from where you can get best Eid Mubarak Quotes and Wishes? 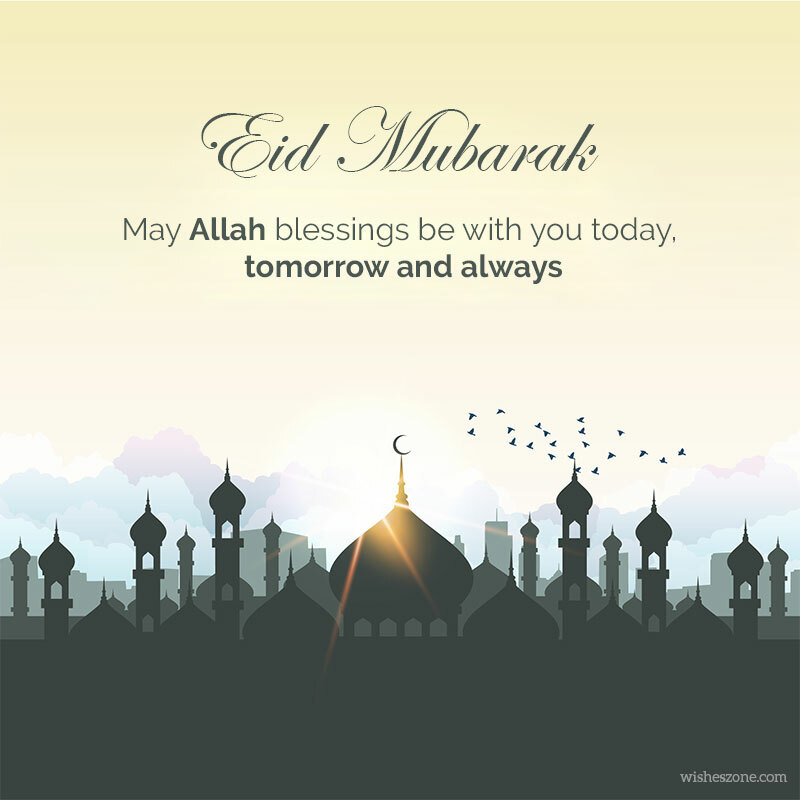 Here are some best Eid Mubarak Wishes and Greetings which you can send to your friends and family and can make their Eid more beautiful and joyful. May Allah give you happiness in your life. Now on this special day, my all special prayers are with you. Happy Eid! I might not be there to celebrate this beautiful event with you buy my heart and soul will always with you. Eid Mubarak to you and your family. Wishing you a happy and joyful Eid. May Allah give you long life to celebrate hundreds of blissful Eid. Without you, my Eid is not complete. As I can’t be there to share my love with you but my prayers and good wishes are with you. May Allah bless you with happiness and success. It is the time to celebrate this biggest event. I really want to be there to celebrate this Eid with you but unfortunately, I can’t make it. But my heart and soul are with you and you will always be in my heart. Eid Mubarak. Whenever I have prayed to God, I always want your happiness and success and God has granted you with such a beautiful day. Happy Eid to you. Reciever my warm greetings on this Eid day. May your all days brighten up with the blessing of God. 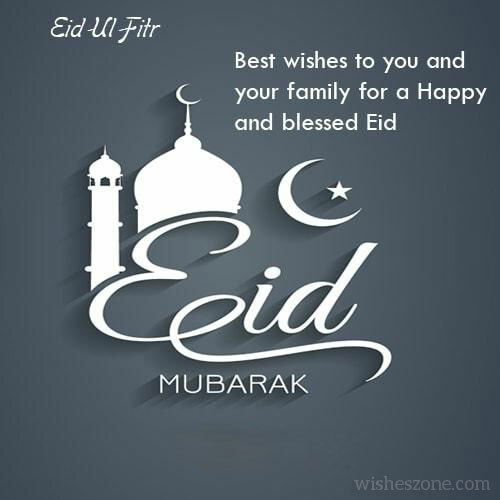 Happy Eid-ul-Fiter. Let me the first one to greet you a very “Happy Eid”. How can I forget to greet you on this special day? Have a great time, God Bless you! I wish a very happy and peaceful Eid to you all. May Allah bless you with success and happiness and makes life easy for you. 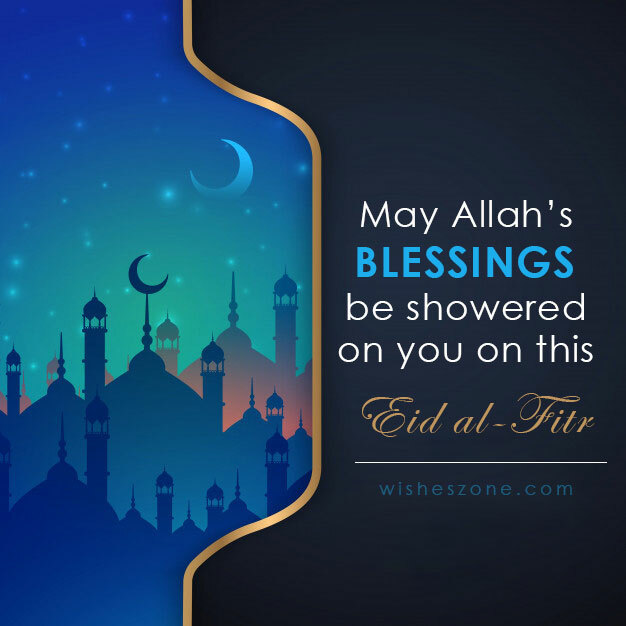 May this Eid be the best ever Eid of your life. My best wishes are with you. Happy Eid Mubarak. 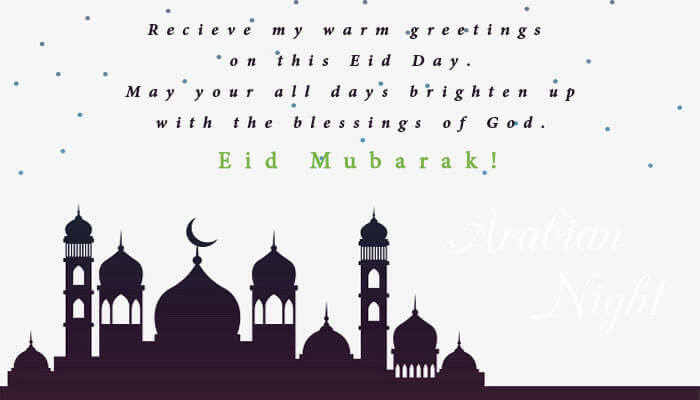 I know my “Eid Mubarak” message will bring a smile to your face. May God makes you keep smiling in all your life and keep sorrow away from you. Happy Eid Mubarak! Wishing you and your family a very “Happy Eid” from the depth of my heart. My prayers and wishes are with you. May all your dreams come true on this special day. Eid Mubarak! Every moment of my life that I am spending with you is a celebration. 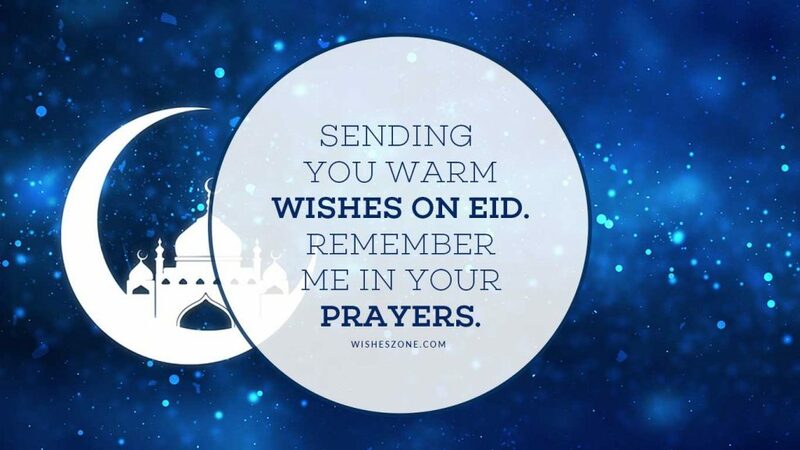 You will make my Eid more special and blessing. Happy Eid Mubarak! May you will granted by the blessings of Almighty Allah & get happiness and success in your life. My wishes and prayers are always with you but on this special day, my prayers are more special for you. A very Happy Eid to you.